Toms Duct Cleaning Melbourne provides best-ducted heating and cooling cleaning services, expert of Air Conditioning Duct Cleaning Services Melbourne. Call us on 1300 068 194 for same day duct cleaning services. Heating, ventilation and air conditioning (HVAC) systems have been shown to act as a collection source for a variety of contaminants that have the potential to affect health. Toms Duct Cleaning provides professional Air Conditioning Duct Cleaning services in Melbourne, We have Certified team for complete HVAC System Cleaning services. Call us today on 1300 068 194 for free quote. When moisture is present in your ducts, all it takes is a few mold spores to start off a fungus problem. Take a look inside your sheet metal ducts. Patchy discoloration in brown, white, green or another colour is likely to be mold. Any sign of moisture buildup or water stains from previous leaks also suggest mold could be growing somewhere in the ducts. 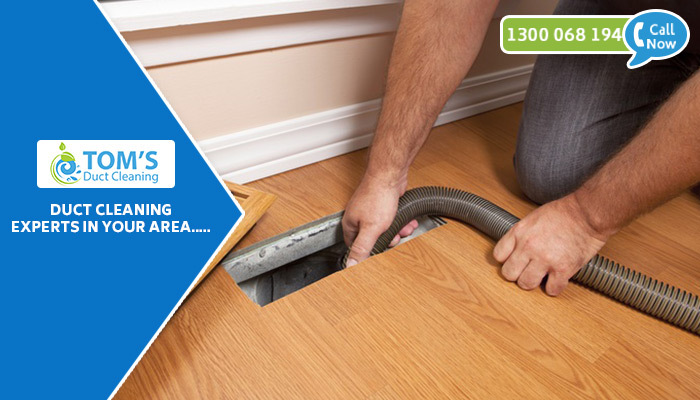 Toms Duct Cleaning Services Melbourne technicians will utilize powerful equipment to clear your air ducts of dust, debris, pet dander, allergens and grime. This powerful suction technology essentially vacuums out years of accumulated dust from the a/c ducts, leaving them clean and clear. Once finished, your home air quality will be better to breathe for your family. 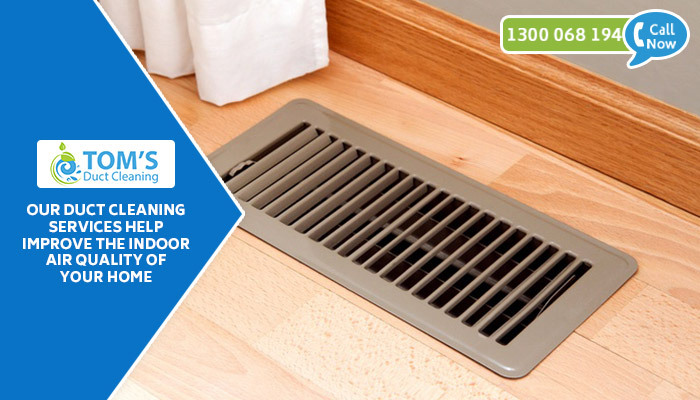 The experienced technicians at Toms Air Conditioning Duct Cleaning Services Melbourne are dedicated to providing quality air duct and vent cleaning service and maintaining your air conditioning & heating units. Dedicated to a healthier air environment, the team at Toms Duct Cleaning Services Melbourne provides free estimates and will explain exactly what you need, why you should consider it, and how it will help to maintain cleaner, healthier living. Ducted Heating Cleaning: Along with cleaning Toms Duct Cleaning Services Melbourne provides maintenance of Ducted heating & cooling equipments. Ductwork cleaning is the first step in removing airborne contaminants and allergens out of the air you breathe. 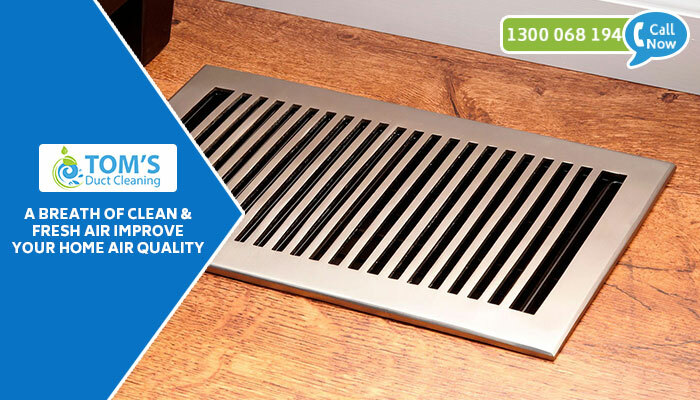 Toms Ductwork Cleaning will clean from the point where the air enters the system to the point where it exists as part of our commercial duct cleaning process, which includes the grilles and registers, which helps to keep particles out of the ambient air. Duct cleaning also improves airflow, allowing your facility’s HVAC system to run more efficiently, and help reduce the risk of fire in HVAC Systems — especially in manufacturing facilities where combustible dust is present. Contact us today on 1300 068 194 for great deals and professional service!